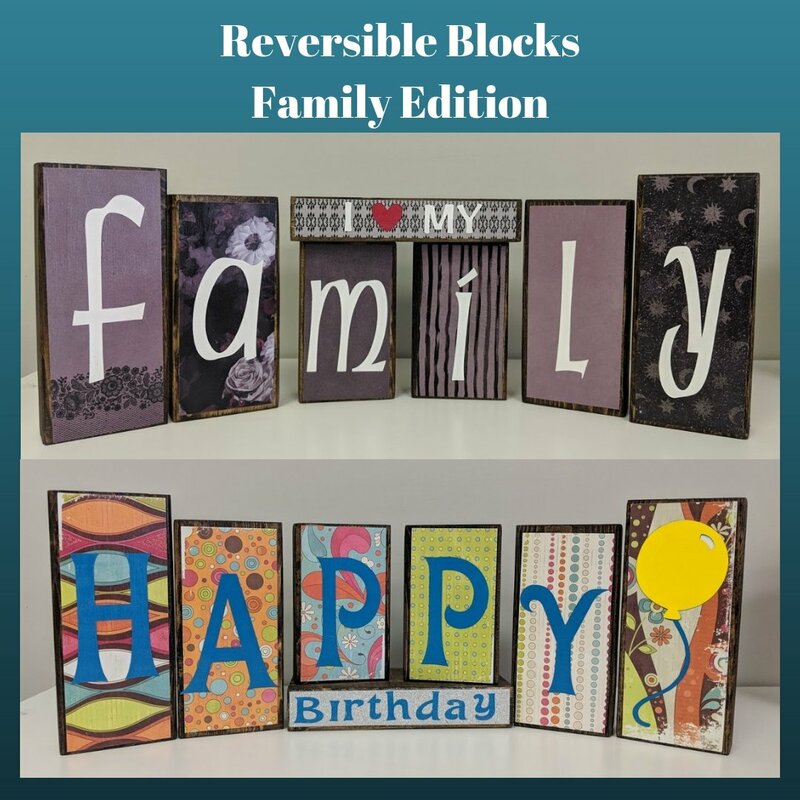 Create your very own Family Blocks and they best part, you just flip them over for each birthday. No more digging around looking for your birthday decorations. Now they are always out and easy to find. The options for customization are endless. You can choose the colours and papers that work best in your home and to your tastes. In this 2 hour class you will create your own personalized home decor blocks. This blocks make an amazing focal point for any room. They are also perfect as a gift. This workshop is open to all anyone 7 years of age to 107 years old. Each block is made of stained wood and will be customized with decorative paper to suit your personal tastes. Spaces are limited so register early by calling Creative Haven YXE 306-880-4888 or sign up on our website.